Awarded and certified in Liscio, Yuko and all other leading processes. 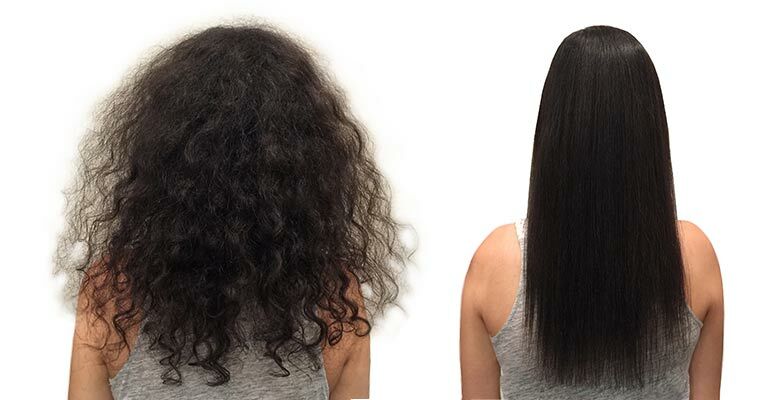 Japanese Hair Straightening process is a beauty science that takes high-level education, many years of intense practice and must be performed by an expert. Because hair structure varies from person-to-person, it makes each hair strand a puzzle for most beauticians. 76% people who had it done in local beauty shops are saying "my hair is not straight enough, it is very dry, over processed, damaged and breaking off". 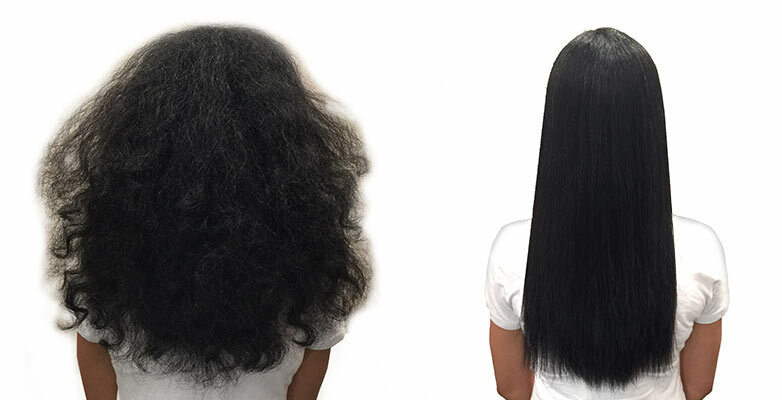 We specialize in Permanent hair Straightening for over 23 years, and do the job with big experience, unique system and more accurately than any other salon on the market. We are the only SPA on the East Coast with LAB professional hair analysis using a crystal stereoscopic trinocular microscope and DLP-50XT beam to track different hair conditions and personalize unique formulas for each section at no additional cost. It makes this treatment very healthy and last longer. Unlike other salons, we offer affordable and incomparable safe service with absolutely No assistants involved! Go Green and save up to $700 a Year with our exclusive CSST (Cuticle Sealer System Technology is always part of every process at no additional cost) by reducing your styling needs almost to ZERO*. *Savings come from styling products and services as well as electricity usage reductions. 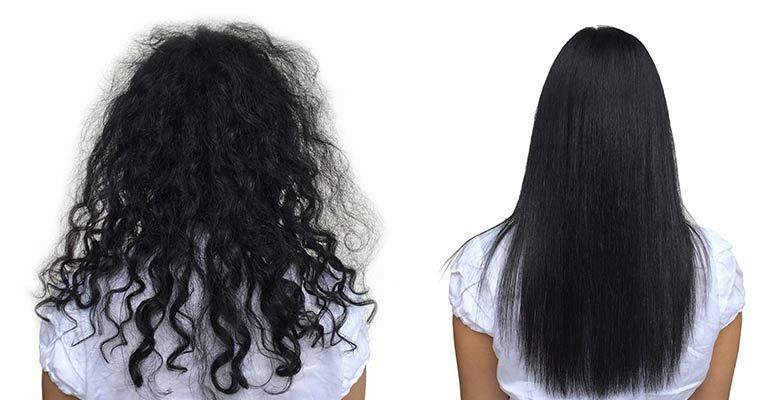 Japanese hair straightening cost starts from $500 - $600 and up, relaxer from $250 - $350. Learn more about prices. Our contact information, location and EMAIL FORM HERE. If you live in Pennsylvania, PA, New Jersey, New York or Delaware then you are a short driving distance away from our Salon conveniently located in Bala Cynwyd PA near Center City Philadelphia (I-95) (US-1) (76) (276) (476) (611) Narberth, Bryn Mawr or Ardmore and is a favorite SPA for many customers from Bucks, Camden counties, as well as, Huntingdon Valley, Allentown, West Chester, Lancaster, Bethlehem, Bensalem, King of Prussia, Wilmington. If you have special preferences and visual alignments we can customize it for you! To learn details - click on the image below. Thermal Reconditioning treatment is the perfect solution to straight hair. No longer will you have to spend countless hours blow-drying with a round brush to get the straight, sleek look you desire. 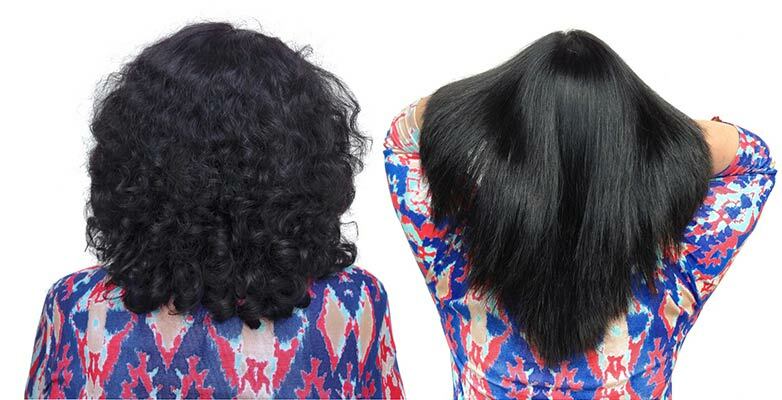 Even those with the heaviest curls will be amazed and pleased with the remarkable results. Sleek and shiny hair can be yours even if you weren't born with it. Cut your styling time in half; no more time-consuming blow drying and flat ironing. Healthier, more manageable and frizz-free look! 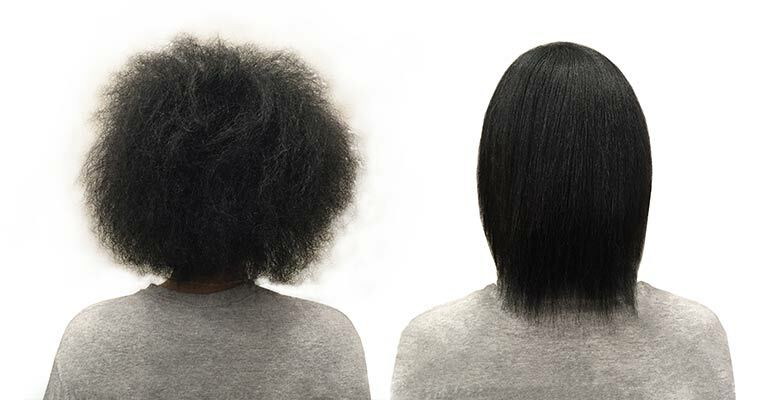 No more "good hair days" and "bad hair days", humidity and rain will not affect your straight hairstyle. Enjoy wearing the latest layered hairstyles with ease! 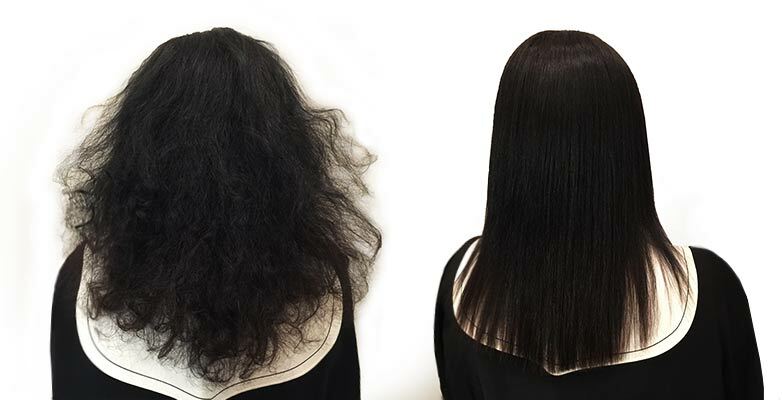 Japanese Straightening is always done with permanent PPB Protein Base, with more than 18 years of experience in this beauty Science. It is healthy for every type of hair and all types of color. Levels of straightness can be adjusted depending on your hairstyle and cuticle structure. This treatment is an intense procedure that requires a knowledgeable technician specifically trained to perform this process. Only someone skilled in Liscio and Yuko methods will be able to find correct formula combination - to attain the desired safe results.